With ConvaTec Little Ones Skin Barrier Ostomy System, finding the right ostomy system is elementary. Each product has been specially designed to comfortably fit a child's unique body contours. All Little Ones products are flexible, durable and easy to remove. 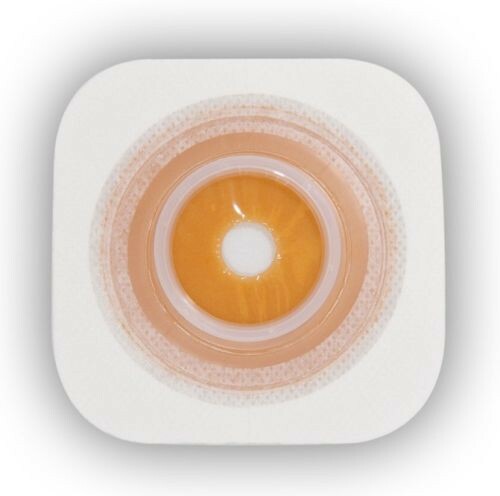 You will need to couple this skin barrier with a Little Ones Drainable Ostomy Pouch. Fabric collar has an ultra thin border allowing for greater flexibility. Stomahesive Skin Barrier designed to be gentle to the skin but resistant to stoma output. Unique combination of three naturally derived hydrocolloids that work with the body to provide gentle protection. Product Numbers: 401925 and 401926.